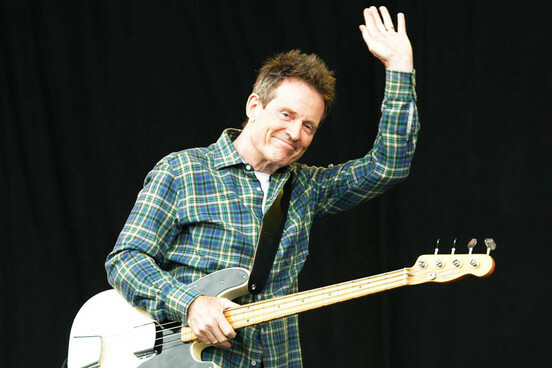 John Paul Jones (born John Baldwin; 3 January 1946) is an English multi-instrumentalist, songwriter, composer, arranger and record producer. Best known as the bassist, keyboardist, and co-songwriter for English rock band Led Zeppelin, Jones has since developed a solo career. A versatile musician, Jones also plays guitar, koto, lap steel guitars, mandolin, autoharp, violin, ukulele, sitar, cello, continuum and the three over-dubbed recorder parts heard on Led Zeppelin's "Stairway to Heaven".